It started out with classic vintage instruments, Casio SK-1 and an Alesis HR-16, taken into the lab and circuit bent. They were opened up, adding switches, hard wiring new controls that altered them into monsters. Once completed, they were sampled and multi-sampled into tube mic preamps. The switches and knobs caused the instruments to produce new textures, drones and multi-sampled pitches. The sounds that were produced were analyzed, mapped, tuned, and looped to create new, more flexible instruments in the digital realm. Synthesis was added: envelopes, filters, LFOs, and an effects engine. 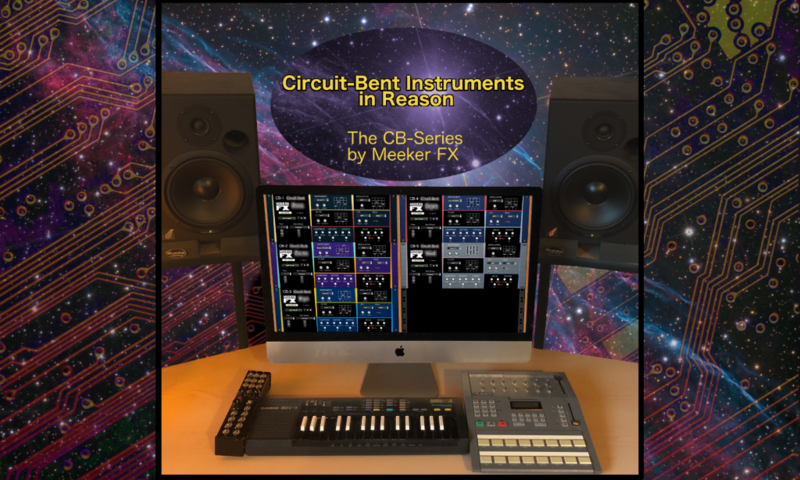 The result is 5 new Circuit-Bent Rack Extensions by Meeker FX, included in the Circuit Bent bundle.